Drawing upon the talents of eight of the UK’s finest designer-makers, the ‘Collective Invites’ exhibition will showcase the best of contemporary multi-disciplinary craft, encompassing the fields of ceramics, jewellery, textiles, lighting & furniture. 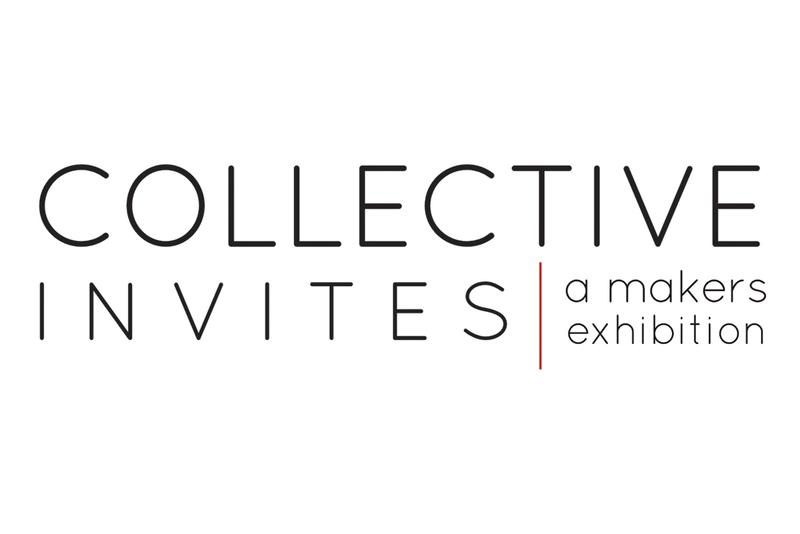 ‘Collective Invites’ is a selling exhibition endorsing the skill, creativity, ideas and sophisticated craftsmanship that each maker brings to the fore, allowing the public to meet the makers involved and to forge a bond between them, with bespoke commissions welcome. New concepts, designs and combinations will be on display throughout the week developing a unique synergy between the craft and makers on show. Contemporary jewellery designer Rebecca is based in Scotland. Taking inspiration from geological structures and how climate change affects the coastal landscape, Rebecca creates complex, fine jewellery combining precious metals & stones with natural materials. Her work is evocative of the dramatic coastline, shapes & forms echo throughout creating a sense of topophilia. NEW Collection for the show: ‘Encrusted’. A jewellery collection made using recycled silver, semi precious & precious stones combined with responsibly sourced bovine bone. Founded in 2016 by designer & craftsman Tim Evershed, the furniture studio’s practice centres around producing balanced and timeless designs, finding elegant solutions to complex problems. With the belief that every piece of furniture, crafted by hand should provide joy during its lifetime of use, the use of natural materials – wood, leather and river rush – within Tim’s work is key to ensuring that every piece becomes more beautiful the more it is used. A partnership of designer makers dedicated to creating beautiful handcrafted furniture from their workshop in Somerset, Byron & Gómez’ love of contemporary design, a passion for traditional craft combined with their meticulous attention to detail as trained cabinet makers can be seen in both the design and execution of their work. The use of high quality materials and a commitment to a simple harmony of form and function shows itself in furniture that is bold yet understated. At the exhibition: Patria Cabinet & Fold Floor Lamp (collaboration with Kate Colin). Based in Glasgow, designer Kate Colin works with paper to create bold and colourful lighting and installations. Kate’s range of unique designs are created through a process of intricate hand scoring and paper folding techniques through which she explores how light, colour, shadow and geometry interact. Each piece is handmade and unique drawing influences from Scandinavian design and twentieth century colour palettes. A contemporary jeweller whose specialises in enamelling, Amanda is inspired and intrigued by the traces left behind through decay and dilapidation and by the textures and marks stamped on the urban environment. Her fascination with pattern and surface textures translates into the final pieces, with the use of mark making, restrictive colours, the incorporation of rusted elements and the deconstruction of the enamelling once fired makes each piece a unique piece of wearable art. NEW Collection for the show: ‘Fragments’ – a series of magnetic backed brooches, complete with frames, to allow the art to be displayed when not worn. Specialises in designing and producing digital embroidery for interiors and fashion Jacky combines traditional embroidery skills with digital technologyusing fur, feathers, tweed and organza with drawing, laser cutting and digital embroidery to explore her distinctive imagery and style. From feral lace to embellished creatures, from feathered interior screens to shimmering metallic bomber jackets, Jacky’s embroidery creates a baroque pleasure; forming new fabrics, textures and stories. NEW Collection for the show: ‘Peacocks’ bespoke embroidered wallpaper. Iridescent and exotic plumage shimmer against an urban landscape. Combining ceramics and printmaking to create collections of sensitively realised vessel forms and subtly layered monoprints Hannah’s work explores the layered landscapes and sea-washed, weatherworn surfaces of the British coastline. Marks, lines and diffuse merging colours are built up, cut through and dissolved away through the large scale artworks. The repeatedly worked surfaces of clay and print are under constant revision, referencing the endless remaking of the shore. Crossing the line between design and craft, a simplicity of form and austere handling of material communicates honesty with a refined touch in Arjan van Dal’s work. Each piece is thrown on a potters wheel, making it individual and unique, with the challenge being to create a work as perfect as possible, keeping the lines simple and the overall feeling almost industrial. Arjan’s maker’s mark, the throwing lines still visible on the inside of the pots are a silent testament to the handmade process. NEW Collection for the show: ‘Non ex machina’ – work derived from a making process that has the aesthetic of a 3D printed vessel, but is solely made by hand. Meet the Maker : Thursday 26th April 5-8pm (Open to the Public) – An informal evening of talks from a selection of makers. Jacky Puzey and Rebecca Sarah Black talk about our their work & the processes involved behind each specialisation.